JK60 type staples, 7/16 Crown, 24 Gauge. Galvanized, Chisel point. Salco and Fasco brands, made in Europe. STCR2619 1/2" staples, Galvanized. 5,000/box. Made in Europe. 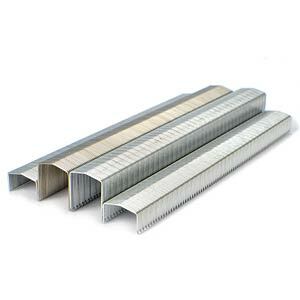 STCR2619 1/2” staples, Stainless steel, 5,000/box. Made in Europe.